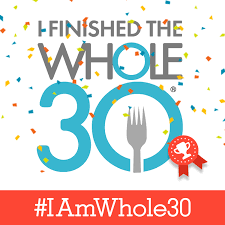 I completed my first Whole30 round on March 30th and a few friends asked me to share my take aways. I started this journey because I’m facing transition and want to feel healthy, energized, and capable. March 5th marked the 4-year anniversary of my divorce and I’ve spent the past few years recovering, finding forward, and learning to manage my health after being diagnosed with Hashimotos. Hashimotos is an auto immune disease that attacks my thyroid and compromises my immune system, energy, concentration, and weight. As far as auto immune diseases go, it’s one of the more manageable ones, but it’s still a time thief and I have to pace myself.